Just-do the right thing. Be generous. Think about the other guy. Don’t make decisions from fear or anger. Those are simple, obvious, transformative ideas. 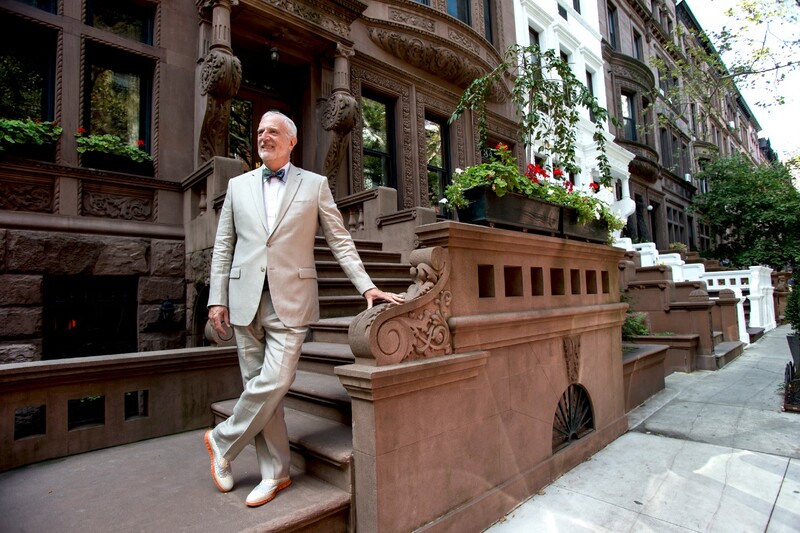 I had the pleasure of interviewing Frederick Peters, CEO of Warburg Realty, in Manhattan. Frederick entered the real estate business as a residential agent in 1980. After working as a Sales Director at Albert B. Ashforth for a number of years, he acquired and renamed the 95-year old firm in 1991. Since that time, Frederick has expanded the company to become a top residential real estate firm in Manhattan. I came out of graduate school as a musician. After I became a parent in my mid-20s, I needed to make some money. Real estate seemed like a great part time gig. Then it ate my life! In general I am not a fan of “the most…” answers. But one of my favorites was my first experience with a board package in which all the letters had the same middle paragraph, clearly written by the owner and sent as a sample to each of his letter-writers,. That has since happened a number of additional times. It’s why I never send sample letters any more. Practice, practice, practice. More than anything else, I have learned that a focus on positive expression is vital. Negative thinking infects a room, and a team. We don’t all have to be best friends, but we have to recognize and admire one another’s strengths and stay focused on the role each person can play. What is the top challenge when managing teams in different geographical locations? Can you give an example or story? Since all of my offices are in New York, I don’t actually have the challenge of running offices I cannot visit easily. But I do think it is critical for the people at the top of the pyramid to make appearances in each office. Satellite offices can easily begin to feel like stepchildren; that is when dissatisfaction sets in and company culture can begin to break down. Listen. And remember a lot of people know a lot of things that you don’t know. Arrogance, and allowing yourself to be flattered into believing you know it all, are the worst mistakes a CEO can make in building a high-functioning organization in which employees feel valued. We have had that “quit your manager” experience. Sometimes there is just fundamental incompatibility; in those situations it’s actually better for the employee to leave than to stick around and infect others at the office. Retaining talent is just fair pay, fair dealing, and developing a personal connection. Often the relationship can hold the employee when other issues arise. You have to be a leader who connects, displays integrity, sticks to your word, listens to suggestions. If your employees admire you then it is harder for them to leave you. 1. Make sure people feel heard. When I remember that I don’t necessarily know best and encourage other ideas, we always arrive at better solutions. 2. Get To Really Know Your Team. I make it a point to know the names of spouses and children, to remember birthdays, to ask some personal questions. Everyone wants to be seen as a whole person. 3. Act Like a Leader. If I show fear, I will have a frightened team. If I show confidence and optimism, my team will deliver for me because they believe in our path. My behavior is a guide light to those who work for me. 4. Arrive First, Leave Last. I can usually tell how successful one of my managers will be based at least in part on their hours. The ones who work on a strict clock usually don’t make it, unless they are working at home after the kids go to bed. The people who breeze in late don’t last long. 5. Be Open To Innovation. In the technology era change happens fast. If we don’t keep up we just create opportunities for start ups or more adaptive competitors to eat our lunch. Warren Buffet: Only when the tide goes out do you discover who’s swimming naked. I love this quote because for me it resonates on a moral as well as a practical plain. I like to think that at Warburg you take that notion that we can only see what people are made of when the going gets tough and apply it in EVERY situation. I don’t ever want to do what we can get away with. I want to do what is right.